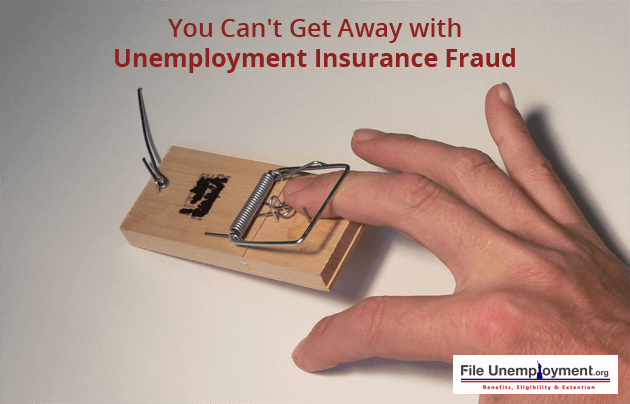 Unemployment Insurance (UI) fraud includes collecting UI benefits that are based on providing false, unreported, or misreported information while filing a claim. Anyone who is filing a claim, reopening a claim, or certifying for UI benefits is legally responsible to make sure that they follow the requirements that are set by the law of the state that they reside in. UI fraud can occur in more than one form, it could range from intended criminal activity to someone providing incomplete or inaccurate data that results in receiving UI benefits. What Happens When You Falsely Claim Unemployment Benefits? Falsely claiming UI benefits is considered to be Unemployment fraud and can lead to serious penalties and consequences. The penalties can range from monetary fines, penalty weeks of unemployment to serving a prison term. Irrespective of whether the person commits unemployment benefits intentionally, unknowingly, or even if it is a clerical error, the amount needs to be repaid to the state’s labor office. The labor office sends the concerned person a benefits overpayment notice that contains the details of how much unemployment benefits they owe the state. The details for repayment differ from one state to the other. If the person does not repay the money in time or set up a payment plan, the debt is transferred to a collection agency and may also show on one’s credit card report. Certain states assess penalty weeks to people who indicate an intention to defraud the unemployment insurance plan. Penalty weeks refer to the weeks of unemployment benefits that the person may qualify for at any given point in future but will not be receiving it as a punishment for over collecting the benefits in the past. This system differs from benefits repayment in numerous cases. In penalty weeks, the person first pays back what he/she has fraudulently collected and then serves several weeks of unemployment without payment. In a case where the state labor department has discovered that a person has intentionally set out to defraud the unemployment program, he/she can face a criminal prosecution for it. In such a situation, the case goes to criminal court where a judge reviews the evidence of the case against the accused to establish whether he/she is guilty of the intent of UI fraud. If the judge finds the crime to be severe and warrants it, the person may be assessed a monetary fine. The fine does not include repaying the overdrawn benefits, and it to be paid to the court. In the severest cases of UI fraud, the person guilty needs to serve prison time. This is usually given to those who exhibit numerous counts of fraud or defraud the state of large amounts through benefits received from illegal ways. The period of prison time differs according to the state law and the preceding judge’s discretion. The jail time usually varies from one year and can go upto five years as well. Mentioned below are a few cases of UI fraud along with the verdicts of the presiding judges. Three individuals, Kenneth Dixon, Jamela Washington, and Natika Washington were convicted following a 5-day jury trial in Ann Arbor. The charges were related to identity theft, it involved fraudulently claiming unemployment benefits. The defendants were charged with the use of counterfeit access devices, theft of government money, identity theft, and conspiracy to commit those offenses. 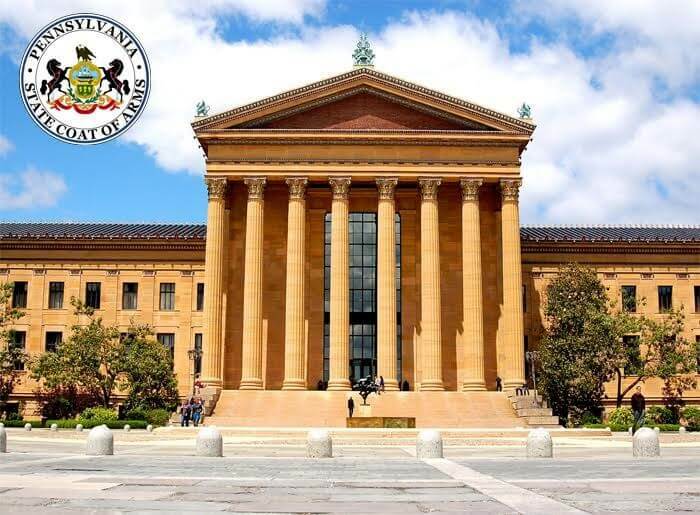 The evidence presented at trial determined that between October 2009 until April 2012, the accused were systematically involved in a conspiracy to obtain the personal information of unsuspecting victims, and then used that information to submit fraudulent online claims for unemployment compensation benefits. The guilty verdicts of the three individuals were the cumulation of an expansive investigation into a conspiracy that victimized individuals by stealing their identities and defrauded the Michigan Unemployment Insurance Agency of more than $400,000. All three guilty individuals were sentenced to serve 10 years of federal prison time in September 2017. William Hicks, 45, of Indiana was charged with unemployment fraud after which he pleaded guilty. The department discovered that Hicks was working and receiving wages while claiming unemployment insurance benefits through the agency records. Hicks was sentenced to two years of probation in addition to repaying the benefits that were fraudulently claimed. The amount of falsely claimed benefits exceeded $38,000. An Indiana Department of Workforce Development (IDWD) employee began to investigate Joseph Meier and found evidence that he was claiming unemployment insurance benefits while he was working and receiving wages. 39-year old Meier was ordered to pay back $12,607, to the state after he pleaded guilty of unemployment insurance fraud. Meier was sentenced to one year of probation and ordered to repay the amount of benefits claimed along with 8% of interest per annum for the benefits that were fraudulently collected. Leo Wilson, 51 of Michigan City was sentenced to 2 years of probation and ordered to repay the department $22,836.50 for the benefits that he had fraudulently collected. Sherry Beoughter, 46, of Valparaiso was sentenced to 545 days of probation and ordered to repay $13,334.10 for the benefits that she fraudulently collected. The IDWD’s unemployment insurance fraud investigation task force identified the pair. The force examines claims of individuals who provide false, misreported, or unreported information on purpose in order to fraudulently avail benefits. A Williamsburg man was convicted of unemployment fraud and was ordered to serve a 100 day jail term for defrauding Iowa’s unemployment insurance program. Paul Meade, 55, had been convicted of fraudulent practice in third degree. Meade said that he filed for unemployment insurance benefits between December 27, 2015 and June 25, 2016. All through the period, Meade was being paid by Whirlpool Corp.
Meade pleaded guilty to the charge on July 20, 2017. The state department states that Meade collected $10,747 worth of benefits during the 6-month period. It also announced that he would have to repay $12,359.05 to the state; which includes more than $1,600 as penalty. The best way to avoid committing UI fraud is to first understand what must not be done and what needs to be done. Sometimes people are unaware that they are falsely claiming for benefits. What Can You Do If You’ve Unknowingly Committed UI Fraud? Whether you commit UI fraud unknowingly or intentionally, you need to pay back all the benefits that you have collected. The payment may also include a penalty that could go up to 50% of that sum. In most cases, it may also include getting disqualified from receiving future benefits. 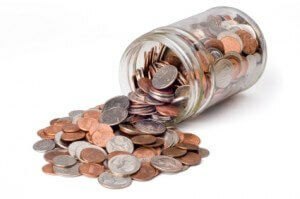 In severe cases where the amount withdrawn is too high, the person may also face fines or look at prison time. However, the policies that oversee unemployment insurance fraud vary from state to state. If you have committed unemployment insurance fraud by mistake, it’s best to notify the department of labor and offer to repay the amount collected. UI fraud hardly ever goes unnoticed. You will definitely have to repay the amount that you have overdrawn, you might also have to pay a small fine. But it’s most likely to not be more severe that than. If you are currently unemployed and on the lookout for jobs, keep your optimism levels high. Search for jobs endlessly and attend as many interviews as you can. Good times are always ahead and the most important thing to stay hopeful and search endlessly. You can also visit Community Forums to interact with peers and professionals to seek guidance during this time. Unemployed or not, living in today’s job market, it is always indispensable for you to equip yourself with the know-hows of the unemployment benefits offered in your state. Illinois, like other federal states, has its own department which takes care of unemployed populace and seeks to address their financial problems, either you are a part-time worker or a retired veteran. In the hope to provide as much knowledge on the unemployment insurance (UI) and benefit claims offered in Illinois, we have compiled everything that you should know. Browse through our website for more information on Unemployment Benefits in other states like Pennsylvania, Wisconsin, Florida, etc. 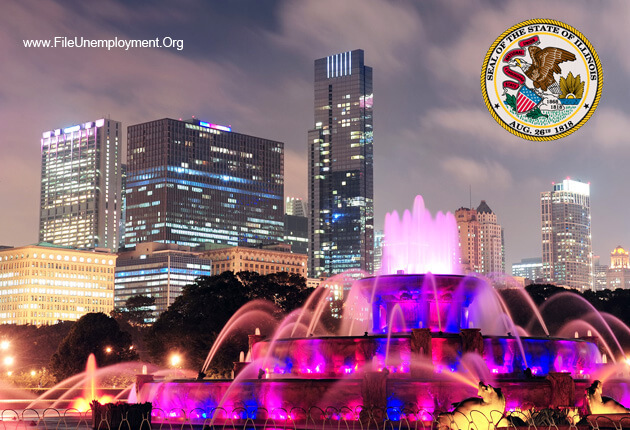 Illinois Unemployment Insurance is a state-operated program designed to address the need for replacement of wages at times of emergency – be it health, accident or unemployment. Illinois Department of Employment Security abbreviated as IDES addresses all kinds of needs to those unemployed, only if you are proactive enough to pass through the various steps involved in the procedure, besides looking for jobs. The state also offers unemployment benefits even if you are residing outside of Illinois. However, all these benefits are given only after the claimant has been duly verified of his/her eligibility. And indeed, because of this reason, it is recommended for one to not remain idle after securing the benefit, but to make a persistent effort in finding a new job, now made easier as the department itself assists people for the same. Furthermore, it is expected of you to regularly state your wages, which encompasses part-time working wages and the telling of the reason for your unemployment to the authorities concerned. All you need to know about the Unemployment Insurance or Benefits are covered by the Illinois Department of Employment Service and to know the specifics like eligibility, procedure for applying UI, read on. Your earnings mustn’t cross the threshold recommended by the IDES. At the time you apply for the Unemployment Benefits, the above can be determined. You were paid $1,600 or more in wages during your base period* for insured work. You were paid a lease of $440 of your base period wages at any time during the base period outside the calendar quarter in which your wages were highest. You must be laid off work for no reason of your own which are a voluntary termination of employment, addiction/substance abuse and inefficiency at work. It is advisable that you ascertain as to the exact reason for being laid off, as the adjudicator will call the employer to verify the same. This is after they have recorded your statement through the personal interview by the adjudicator which is usually fixed two weeks from the date of applying for the unemployment benefit. You should be available/capable of working and actively searching for work. It is also important to note that you won’t be eligible for unemployment insurance for more than 26 weeks in a year. If you have crossed this limit within a year, then you will no more be eligible for unemployment insurance or weekly benefit. How To File Unemployment Insurance in IL? Remember to gather all the right information and documents that would be required for the application for unemployment insurance. Be ready to answer all the questions for the interview in person and for the phone call. Do not forget to carry a copy of all the documents every time you’ll have to visit Illinois Department of Employment Security Office. Your Social Security Number (SSN) and your name as appeared on your SSN card. Your identity proof/ID for the purpose of disclosing your weight. Either your Driver license or State ID will do. Your Social Security Number (SSN) of your dependents (if any) along with the names as mentioned in the card. Your employers’ (from past 18 months) name, address, contact number, wage records (W-2 form, check stubs), duration of employment, date of separation and reason for separation. Your report of all the gross wages earned in the past week, both full-time and part-time, if you worked from the Sunday of the week of application. Gross constitutes the earnings before deductions like lodging, meals, merchandise, etc. Also, the gross wages must be reported the week they were earned and not the week they were received. You will be eligible to weekly benefit or partial benefit even if you’ve secured work but that you earn less than the benefit amount mentioned. Your Alien Registration information, if you are not a US citizen. Your Member 4 copy or the DD form 214/215 if you are a recently separated veteran. Your Standard form 8 and Personnel Action Form 50 if you are separated as a civilian employee working for the federal government. To apply for Unemployment Insurance in person, you have to visit your nearest Illinois Department of Employment Security Office and to reach the offices in relation to the unemployment benefits over the telephone, you can contact through the numbers available on our website. A make or break kind of prerogative that most people tend to ignore during the process of filing for an unemployment insurance is to actively seek work. Once your bed is warmed it is the general notion that people forget about their responsibilities and seeking work in an increasingly hostile job market is an effortless addition. Meritocratic America is on the brink of letting the privileged take the mantle to dictate the terms for the rest. Individual skill is highly valued and puts you in a higher platform which ups your job prospects. And to address this problem, we have the state and federal departments lending a hand at educating the populace in the skill sets required to make you a better competitor, one the rest will have to reckon with. Also, worth mentioning is the IllinoisJobLink, a major priority in the Illinois State government’s point of view, which is a meeting place for all the job seekers and employers. Delay no further and make sure you frequently visit government sponsored job-seeking portals. After all, ‘actively seeking a job’ is a major prerogative, an eligibility factor that has a say in the benefit amount you will receive. How Will You Receive Weekly Benefits? Since the insurance you are claiming is received on a weekly basis, the Illinois Department of Employment Security doles out a debit card for the insurance claimer. Also, the IDES is making improvements to the card being issued which was a ‘blue debit card from Key Bank’ and is now being replaced with the updated red Debit MasterCard issued by the Chase Bank. Once you have been certified for your benefits either online or in person, you will receive an envelope enclosing the Debit card. Though you can opt to have the benefit amount deposited to your account, this facility is mostly temporary, that is until you receive the debit card, which should not extend more than two weeks to reach your residence. You will have to log in to your IDES account and fill in the required blanks in order to receive the benefit amount. As mentioned earlier, the new red debit MasterCard will have to be replaced for those already receiving the benefit through a current blue debit card. And replacement process will commence from June and the deposits to the old card will cease from June 30, after which you can use the card till it reaches ‘zero balance’. With the new card, you can now access your payments 24 hours a day and 7 days a week through both retail Point-Of-Sale (POS) terminals and Automated Teller Machines (ATMs). Visit the website of the Chase Bank or read through instructions in the IDES website (however you will receive a letter replete with all the instructions on how to activate the card) to know more about exchanging your old debit card to a new one. Are You An Out-Of-State Claimant? Apply online, for a hassle free, convenient process. Or you could contact IDES claimant services to help you through the procedures apart from guiding you about the particulars. You can claim these benefits if you are now residing in any of the states, the district of Columbia, Puerto Rico, the Virgin Islands or Canada. As to the method of receiving payment or the weekly benefits, you will be given a debit card, which will be mailed to you or sent through direct deposits. Payments are made to eligible individuals within the span two business days from the date of certification. Have you received or will you receive a holiday pay during the two-week duration? Did you work during the two week period? During the weeks of your certification, have any of your dependents/spouse and children found a job and reached the age of 18 respectively? How free/available are you to work in the working days of the week? Did you actively look for jobs in the past two weeks or since you lost your job? Did you receive any pension for temporary/permanent disability? Did you attend school or receive training? Have you received or will you receive workers’ compensation for a temporary disability? How To Challenge Denied Benefit Claims? 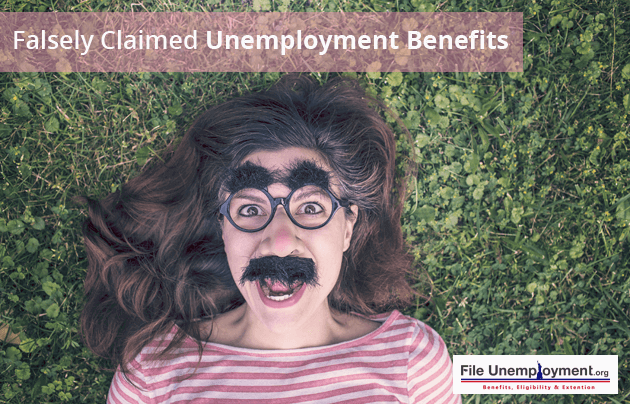 If you believe your claim is right and was still denied Unemployment Benefits, you can challenge the claim by writing an appeal to the referee by challenging the decree given by the adjudicator. This form can either be downloaded online or can be procured by visiting the IDES office personally. Once you download the application online, you have to print the same and fill in the respective details. If you believe you have the right to claim benefits and fulfill all the required eligibilities, you can file an appeal. A Veteran retired from active duty who has been denied the claim to Unemployment Benefits can apply too. As a part of Preparing for your Appeal Hearing, write a letter requesting the reconsideration of your claims at Unemployment Benefits within 30 days. Or mail the request letter to the Claimant services. If your notice is denied it is immediately sent to the Appeals Division. You will receive a notice on the date and time of hearing (phone call) when the decision is made as to you are eligible to the Unemployment Benefits. An out-of-State claimant can appeal for denied benefits too since the letter could be downloaded online and sent through a mail. Also, since the hearing is made through a phone call and not a live one, you only have to be prepared on the date and time of phone call, the details of which will be communicated to you through an email. Some of the new changes made to the unemployment insurance scheme is the mandatory registration of all residents into IDES who are receiving Unemployment Benefits. Applying from July 17th 2016, its objective is to minimize casualties and provide insurance as soon as possible. This will also increase each person’s access into the Illinois JobLink, thus apart from speeding the process of doling out insurance, also seeks to reach out to the jobless, into getting a job. This new policy centres on giving employment than managing the unemployed which is already in place. Since it provides free job-searches and links employers with people fit for the job, it is no longer a zero-sum game. Both the parties are benefited contrary to the assumption employers having to put up with policy changes. The key to enforcing it efficiently is uploading your resume online after registration. Hence, after registration it is made compulsory to upload your resumes, thus helping employers easily filter people and find what they are looking for. Although people apply for UI with the sole intention of acquiring Weekly benefit amount or insurance, they can unconsciously commit mistakes which can be classified as fraudulent. Also, it is important to remember that though your intentions weren’t to commit a fraud, it will however, not set you apart on the basis of intentions and you will nevertheless end up facing the consequences. Do not go on collecting weekly benefits without informing the authorities of obtaining a new job, be it full time or part time. Though there is a possibility to claim UI benefits when working part time, you must nevertheless keep the IDES tabbed on the changes in your employment’ status quo. Do not collect weekly benefits if you have been restored to your earlier job. Do not collect weekly benefits without reporting odd jobs, however less they earn you. Do not withhold information on the changes in the position or employment status of dependents if they are employed while you are still collecting benefits including them as your dependents. Do not collect benefit amount without informing whether your dependent/child has turned 18. You could be asked to pay a hefty sum as fines and penalties. You could be sentenced to prison. You could be offset against State and Federal income tax returns. You could never avail Unemployment Benefits again. If you are reading this, there is every chance that you may be in dire need of financial assistance and as the days pass by, it will only get tougher to manage the expenses. All the more reason for you to hurry and register now at the IDES website for unemployment benefits. Given the complete transition of the offline process to an online one, you can practically receive your benefits sitting at home as the debit card too is delivered to your mailing address. However, if you would want to know more on the IDES offices in your locality for applying in person or if you’d like to calculate the amount of benefits you may be eligible for, you can find out from our website. We hope to have addressed all the problems or questions that you may have encountered and if more, please leave it in the comments and we will watch your back! Unemployment is one problem that doesn’t necessarily need a shout-out. In spite of all the banter on the march towards progression, the unemployment rate of 4.9% is not really hailed as the greatest feat. However, the stagnation isn’t forever. Know more of the unemployment benefits to cross over all the obstacles in your way to hold you through the tough and testing time that unemployment brings. What seems to be a great number in itself- 495,000 is only the figure for ‘veteran’ unemployment as published in the Current Population Survey (CPS) for the year 2015. In the survey, veterans are defined as, “men and women who have previously served in the U.S. Armed Forces/military and who were civilians at the time these data were collected”. Veteran Unemployment rates have been at an all-time low, declining from 6.9% in October 2013 to 3.9% in October 2015, as reported by the Bureau of Labor Statistics. Also, notably, this rate was lower than the unemployment rate of non-veterans of 5.9% for 23 consecutive weeks. This figure is only likely to decline when you enroll yourself in the many training programs designed especially for Veterans to acquire the skills of the generation which mostly covers technical knowledge. Otherwise, leadership skills, capacity to handle stress, attention to detail, interpersonal skills, problem-solving through critical thinking, project planning and so on, which are to be developed goes quite unsaid. And at the rate at which people are pitching into jobs, the sooner you learn to develop these skills, the better equipped you are to acquire jobs at the earliest. You were an active member in any of the branches of U.S. military. You should have separated from service by honorable means. There should be no deduction from your wages for Unemployment Insurance. Apart from the above-enlisted eligibility clauses, your Unemployment Benefit can be affected if you are receiving the Separation pay. It is for this reason that retirees will receive little or no amount of benefits, for their weekly amount of retirement pay is considered. 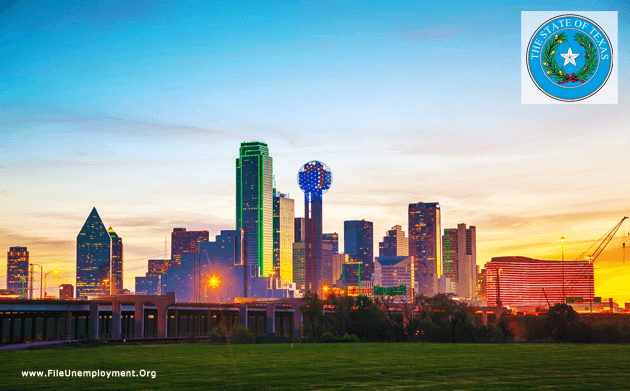 The duration and amount offered through unemployment benefits vary from each state, and hence, to enjoy the benefits of the same, you have to visit the local State Employment Office. The nearest State Employment Office can be located using a Telephone Directory or you could locate the nearest one for some of the states (Nebraska, Ohio, Kansas, Montana, District of Columbia, Maine, Vermont, North Dakota, Wyoming and Alaska) from our site. Visit the Local Veterans Employment Representative (LVER) who will assist you in finding a new job apart from ensuring that you get the Unemployment Benefit. When applying for the Compensation, do carry your Certificate of Release (DD form 214), your Social Security Card and your Civilian and military job history or resume. The amount of benefit will depend on your pay at the time you left military service. The state will compensate by basing its calculation on a “Schedule of Remuneration”, set by the U.S. Department of Labor. As to the amount of compensation that you get, it depends on the state you reside in (Unemployment benefits is acquired from the state you currently reside and not from the state you quit the Duty). Apart from the many communities that have continually engaged in trying to get more veterans employed, there is also an increase in the concerted effort of private and government institutions in order to reduce the already declining rates of veteran unemployment. The special provision is given to those who were part of the Vietnam War. The VEVRAA, 1974 (Veteran Era Veterans’ Readjustment Assistance Act) prohibits job discrimination and pushes federal contractors and subcontractors to take action. They employ qualified Vietnam war-era veterans and also provide training when necessary. Others covered in this Act are Special Disabled Veterans and Separated Veterans. Veteran Department has enabled various provisions which include education and training, health benefits, Life insurance, Home loans and Housing related Assistance, Employment Services, and Memorial/Funeral Benefits too. How to Apply for Veteran Affairs (VA) Educational Benefits? These Benefits are granted through the Post 9/11 GI Bill/Servicemembers Readjustment Act, also associated with Yellow Ribbon Program, Montgomery G.I. Bill (for active duty members who pay $100 per month in order to receive a monthly benefit for education, if they should choose to leave military service), Reserve Educational Assistance Program (Educational Assistance to the members of Reserve components who constitute the those ordered to active duty in response to a National Security threat or Emergency situation), Survivors’ and Dependents’ Educational Assistance (DEA). These educational Benefits can be utilized for Traditional degrees, non-college Degrees, Job Training and job apprenticeship. To qualify for a monthly housing allowance you must have attended school for more than half the term. Employment Resources & Opportunities – All through VA Dept. Veteran Affairs Department offers numerous opportunities to acquire Vocational jobs, Training and Employment Counseling too. In short if you are eligible for the employment benefits provided by the VA, your life is shortly about to change for good as close to millions of dollars are spent by corporations in order to incorporate skilled veterans into service. This benefit can be acquired by both Active Duty Servicemembers and Veterans. 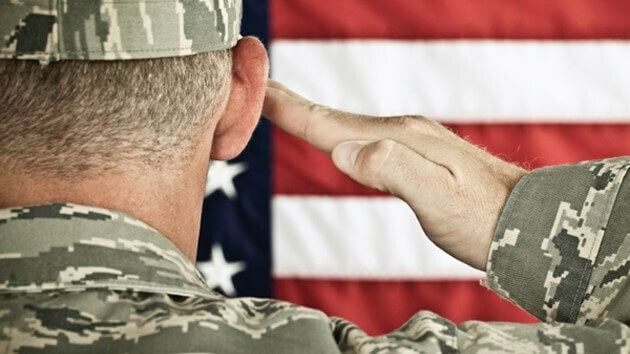 Veterans applying for the same must have an honorable discharge from service, obtain VA service-connected disability rating of 10% or more, including applying for Vocational Rehabilitation and Employment Services and have an established employment handicap resulting from a service-connected disability. If the above four conditions are not fulfilled, the veteran is not eligible for Employment Benefits. Otherwise, you can also apply by filling your application in person at the nearest VA Regional Office. If not, download the applications of Educational/Vocational Counseling and Disabled Veterans Application for Vocational Rehabilitation online and mail the same. You can access all this and more once you have logged into the eBenefits service enables by the States. An Injury incurred either while on active duty or those disabilities resulting from a disease which was aggravated due to active military service can be held eligible for Disability Compensations for Veterans. It is a tax-free monetary benefit which can also be paid for post-service disabilities that are secondary to the illnesses/disabilities occurring in service. This benefit can be incurred if you are at least 10% disabled. The disability can arise from physical medical conditions like chronic knee condition, and mental health conditions as post-traumatic stress disorder. Having a certain chronic or tropical diseases that were evident within a certain time after discharge from active military service. Exposed to ionizing radiation, mustard gas or Lewisite while in active service. Served in the Southeast Asia during the Gulf war. Evidence of a relationship between your disability and injury, disease or event in military service. You can apply for a Disability Benefit, both offline and online (eBenefits). The means to acquire an offline Disability Benefit is through contacting your local Department of Veteran Affairs (VA) office and have a VA employee assist you. Other Disability Benefits include Dependency and Indemnity Compensation (DIC) which is also a tax-free monetary benefit provided to a surviving spouse, child, or parent of Servicemembers who died while on active-duty. Special Monthly Compensation (SMC) is another additional tax-free monetary benefit that can be paid to veterans, their spouses, surviving spouses or parents. SMC is a higher rate of compensation paid during special circumstances where the injured person is in need of special assistance or aid of another person. Such circumstances arise when there is a specific disability such as the loss of a hand or leg. We certainly hope that all the information provided above has left you with little or no doubts lingering. If you are an ex-service member, wait no more to avail all the benefits you are eligible, for now it is easier than ever with increasing awareness and enhanced connectivity. It has also brought about a healthy online discourse to disseminate the various Government policy initiatives into the general public’s domain. Participate in this community discourse to add your insights and questions so we could keep the wheel turning! We all know that the economy was largely gloomy, with a slowdown. Teens and students are bearing high tuition prices and thus, are in dire need of finding alternate sources of income. Usually, teens manage to find work in restaurant chains and the likes but are mostly unappreciated for the work they do and are also underpaid. Yet, there’s always a silver-lining to the entire scenario. American workers are not getting a boost to their paychecks even though the unemployment rate has steadily decreased and has nearly converted to full-time employment. Employers are able to reduce the bargaining power of prospective employees because of an ever increasing supply of educated labor. This makes it easier to fire troublemakers who demand raises, better working conditions and incentives to stay productive. The overall growth rate for the population is getting back on track. However, college graduates are finding it difficult to find a permanent position in the job market today, that is because the unemployment rate for teenagers has been the highest ever in over 20 years. From $7.25 to $10 an hour can barely make the ends meet for most of the teens, given the standards of living today. So with such a meager pay it’s like you’re working to be broke. Even underemployment rate has steadily increased over the years clearly indicating the dissent among teens. It is good to know that we have a couple of free tools to calculate benefits of unemployment and to compare unemployment benefits by state. Now, how handy is that! Generally, the youth labor force surges sharply between April and July each year. Many teens search for or take summer jobs while graduates make an entry looking for permanent positions. Last summer, the youth labor force grew by 2.7 million. This is a positive trend, given the circumstances! The unemployment rate has reached a 7 year low of 4.9%. But for teens of ages 16 to 19 years the unemployment rate is very high at 16%. This alone accounts for over a million youths in the country! No wonder, more parents are seeing their adult kids moving back to the basement. And many of the parents are facing this social stigma of teens being holed up and the topic is slowly gaining wider acceptance from the larger sections of our society. According to Organization for Economic Co-operation and development (OECD), a whopping 26 million young people are not employed in the developed world. Youth unemployment is a real problem and it is poised to cost the US economy of over $18 billion. Add to that, the damage of rising crimes and deterioration of our social fabric being committed by misguided teens. It’s definitely not the right path to walk on for all of us. Considering the US global market position since the economic collapse in 2008, US has always stood on a precarious spot, sensitive to minor changes. But we may yet be living at one of the most prosperous times – for all age groups alike. So it shouldn’t be a surprise to witness people, including private individuals and NGOs taking action into seeing the annoyance caused by Teenage Unemployment driven beneath the mud. That the actions have seen considerable success can be vouched for by its mention in the recent Democratic National Convention (DNC). In a moment of pride for the community who have strived for $ 15 pay a day, the Democratic Party announced that they have added support to the cause of $15 pay a day to their party platform. With one of the most prominent parties backing the move to make $ 15 as the minimum pay speaks volumes in terms of how far we have come in this fight. A national institution such as this can boost the presence of more NGOs in many states where the protests haven’t gathered any momentum. An NGO which closely follows the causes of Teenage Unemployment all over America is the “FightFor15”, an organization which individually can be attributed the credit of putting the cause of social evil of Teenage unemployment on the national map. With its proactiveness and regularly protests, organized all over the country, it has done marvels in bringing the unaware and ignorant to the streets, to rightfully demand what’s theirs. Many workers consent to the fact that more than 10 million are on their way into realizing the $15 pay per day. While the movement held and organized by the NGO, Fight for 15 has been successful mostly in New York, California, Seattle and Pittsburgh, while they vow to keep the fight running till all the workers in the country get their $ 15 pay. The stagnant economy needs to be churned again. Turning the tide in our favor to suit our interests can only be made possible by betting on the zeal of the youth. The teens of today must come up with innovative ways to find work. If there’s no work then do come up with ideas to create work. Start blogging, take tuitions to high school students, conduct workshops on hobbies like stargazing, develop mobile apps using open source projects like Python. Hustle, instead of cribbing about the sorry state of being unemployed. In the other half, the big corporations and industry experts should impart world-class training and properly mold the teens to deal with the demands of the industry. Then, we can not only hope for a better tomorrow but provide a better one. Get motivated by the likes of Steve Jobs, Mark Zuckerberg and strive harder than your odds to claim glory! The world needs a center for the New American Dream and we have to live up to expectations and deliver the same! Despite more jobs being available today in the U.S., unemployment still plagues some sections of the society. While the unemployment rate is officially recorded at 5%, the surveys don’t always tell the complete story. 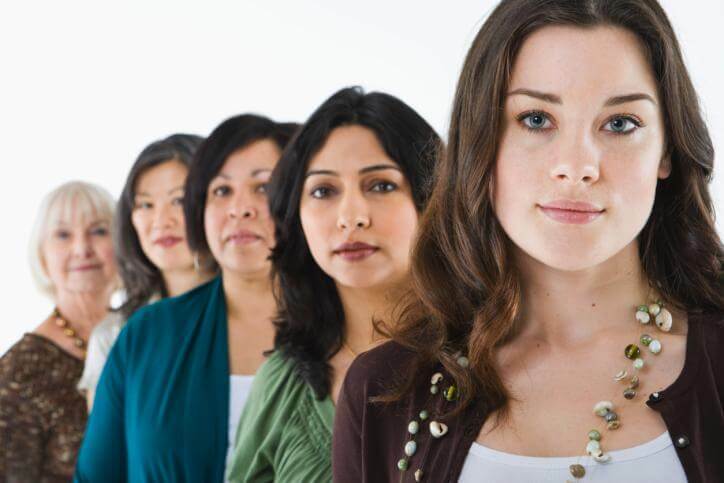 In this article, let’s discuss the issues faced by adult American women in specific. Over the years, we’ve seen that the females have stepped up to play an active part in contributing to the economy. However, studies have revealed that females face more unemployment woes than their equally qualified male counterparts. Although many reasons could be stated for this phenomenon, many women wonder whether it is the age old misogyny at play. Why The Gender Gap In Unemployment Rates? Women have always been known to juggle their time between family and career more than men. This often takes its toll on their professional lives. This is especially true after childbirth. While most European women find a way to have both, their American counterparts find the 12 week maternity leave too short for their liking and so choose to quit jobs. This often leads to a period of unemployment, post which, getting back to work is cumbersome for many. This sole reason is often held responsible for America falling behind other European countries when it comes to women’s unemployment. The percentage of working women in the nineties was 74 and has since then dropped to 69. For less educated and financially not well off women, this reason is never more true. The cost of child care just isn’t worth returning to work. As per the United States Department of Labor, the following are the percentages of unemployed women in various age groups. Is It A Man’s World Afterall? Absolutely not. According to the current employment statistics, approximately 11 million people are without jobs (i.e., full time jobs). While a greater percentage is constituted of women, it does not in anyway mean that women cannot make a return after a break. We recommend that you look into unemployment rates of 2015 and factors like hostile work environment to find out contributing factors for female unemployment. If you are currently unemployed, we suggest that you look into applying for unemployment benefits for temporary financial assistance. Those who have exhausted their allocated state provided unemployment compensation will always have a question lingering on the mind. What do I do next? This question can be a great concern if you’ve not got a job yet. Generally, in most of the states across the country, the payout will be unto a period of 26 weeks. The heavily dependent Emergency Unemployment Compensation or E.U.C as popularly known remains expired as of Dec 28, 2013 with no sight of renewal by the Congress. This scheme sponsored by the federal govt. provided additional weeks of unemployment compensation to the jobless who had drained their regular state provided benefits. Remember, this may not really be end of the story. You may be eligible for assistance from other state agencies and non-profit organisations to help you make ends meet while you continue to look for employment. Information regarding cash assistance, food and nutrition assistance, child care and more may be available in your state. Information regarding these programs will be available with the relevant authority in your state. Don’t wait until you get your last check to start taking action. Here are a few pointers that will help you to buckle up, take stock and prepare for it. The Frequently asked questions section will be a great help in guidance if you are still claiming benefits or looking forward to applying for unemployment insurance. Remember, the UI benefits received were temporary. You cannot live on it forever. Make it a habit to spend as much time allowed applying to new employment opportunities. Look in your local newspaper, browse websites, lookout for networking opportunities like job fairs that could put you closer to that next opportunity. The internet is the best place to scout for jobs. If expired benefits have made a financial crunch more burdensome, food and shelter are the two most important amenities. Until you’ve found new employment, make it a rule that there is no more disposable income in your household. If cell phone, Internet, or cable isn’t absolutely necessary, cancel them, or seek out cheaper subscription plans or calling cards. The same goes for auto insurance. Take courses at community colleges and attend professional networking events and seminars to brush up on your existing skills, and to learn others. If tuition is cost-prohibitive, seek out scholarship aid or register as a matriculating student. Branch out to learning different subjects or majors — uncovering a new skill set could lead to a successful career change. New education can also lend a competitive edge to older professionals facing unemployment, looking to compete in a younger job market. There are hundreds of advisory websites out there who will answer your questions in almost all areas of concern related to unemployment. Make the best use of these sites by either reading the articles, expert write ups or simply use our Discussion forum Q & A section to ask a question that is specific to you. Always remember, it’s just not you out there undergoing this ordeal. There are thousands of jobless citizens fighting their way out of this temporary state. It’s very important that you remain optimistic and make best use of available resources. This topic is one that haunts many an unemployed soul. Filing for social welface benefits while receiving unemployment compensation or vice versa is a matter that requires serious attention. While in most cases the State and Federal law frown upon receiving multiple benefits together, there are some cases in which claimants for Unemployment Insurance (UI) are allowed to claim other benefits. First, let’s take a look at the other kinds of social welfare benefits available to an unemployed person. The good news is that filing for unemployment while on other benefits is sometimes permitted in some states. Let’s discuss applying for UI while on each of the above welfare programs. Although filing for UI and disability insurance simultaneously is not uncommon, it poses a conflict. One of the eligibility criterion for unemployment insurance is that the claimant is able and available for full time work. This is an inconsistency. If a person is disabled, he/she is clearly not available or able to perform full time work. The good news is that the law does allow an individual to collect both unemployment compensation and SSDI at the same time. That said, the eligibility and other determining factors vary from person to person. 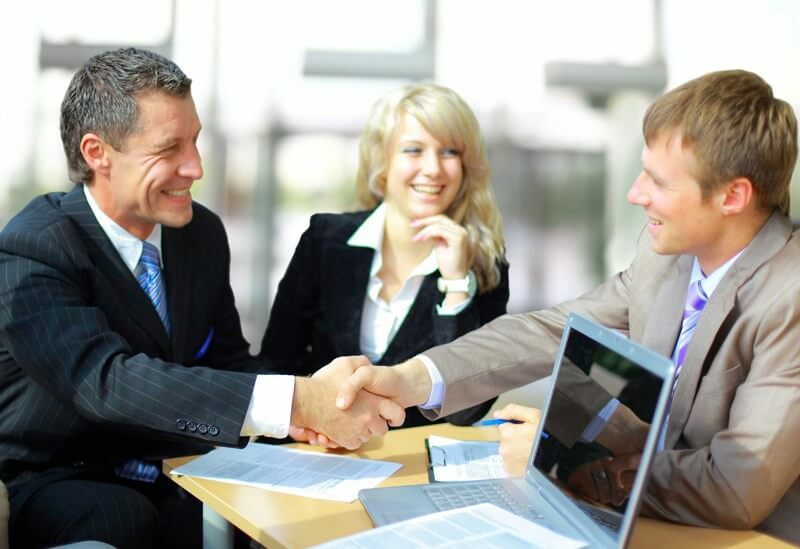 You may need to approach an experienced attorney to find out whether you qualify for both. After some research on the Internet, we found out that in cases where it is absolutely necessary for a person to avail UI while on SSDI, the law has shown leniency. This will require the claimant to provide an explanation to the judge when demanded. If you do qualify, there is a high chance that the benefit amount will be reduced by a certain percentage as you have another source of income. Sadly, the number of cases where one claim was denied due to the individual already claiming the other is much more higher than the cases where the law has shown leniency. Your State Unemployment Agency and the Federal Law are the final word on the matter of your eligibility. Contact them at the earliest to resolve your concerns. Supplemental security income is handed out to people who have very low income. To qualify for this one must be 65+ yrs, disabled or blind. SSI is administered by the Social Security Administration and is funded from the U.S. Treasury general funds. In most cases, people who are eligible for SSI are allowed to file for unemployment insurance also. SSI benefits depend on a person’s monthly income. As unemployment compensation is considered as a source of income, your SSI benefits will be affected because of them. This is not true in all the states. Some states are quite lenient and do not consider UI benefits as a source of income. Social Security Retirement Benefits are given out to folks who paid social security during their earning years. In general, people who receive these benefits are 65+ years old. And hence they may qualify to receive unemployment compensation. However the amount you receive as retirement benefit may diminish as some states consider unemployment compensation as a form of income. Yes, you can file for both at the same time. But depending on the reasons behind you leaving the job, your eligibility may be affected. Some pensions do affect unemployment insurance claims. This means that if you are receiving pension from an employer for whom you worked during your base period, the UI benefit amount may be reduced up to 50%. However, if you solely contributed to your pension funds, the benefit amount will be unaffected. 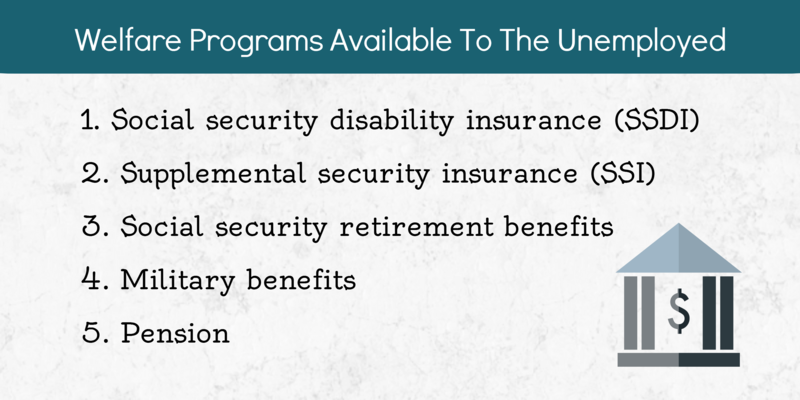 There is a separate scheme of welfare programs for ex- servicemen (UCX). These programs are for people who are unable to find work post leaving the military. In this case, UI and military benefits that you are eligible for is one and the same. When it comes to matters of unemployment and other benefits, the State’s Unemployment Insurance Agency and Federal law are the final deciders. If they deem you ineligible for whatever reasons, you will be unable to collect the said benefits. Also, failing to report alternate sources of income or committing fraud are serious offenses which could even land you in prison. Being unemployed is no piece of cake. We are sure that something great will come up and that life will continue to surprise you in pleasant ways. If you have further doubts and concerns, visit our community forum. Cheers! In tough economic times, more and more elder people might search for work past customary retirement age. In case they become jobless and do not have sufficient in the way of Social Security payments and other retirement income, they could attempt to collect unemployment benefits as a means to boost their monetary standing. For the majority, collecting both Social Security and unemployment is allowable. Social Security is a part of the retirement plan of about every American worker. It is the publicly financed system established in 1935 that offers monthly retirement income to 48 million Americans, together with 35 million retirees, 6 million disabled adults, and 7 million orphans and widows. In case you are among the 96% of workers who are covered under Social Security, you should recognize how the system works and what you should obtain from Social Security when you stop working. You can receive unemployment insurance benefits and social security benefits at the same time. Unemployment benefits are not counted under the Social Security yearly earnings test and thus do not have an effect on your receipt of Social Security benefits. However, the unemployment benefits sum of a person may be reduced by the receipt of a person or other retirement profits, including Social Security. You must get in touch with your state unemployment office for information on how your state applies the lessening. In effect, Social Security works as a national income insurance program, grouping risks together and providing least income support. The system is “social” in that almost every American adds to it and in turn is entitled to obtain benefits. The system offers “security by guaranteeing retirees a minimum, inflation – adjusted profits for life, as well as monthly income for those who are unable to work and disabled, and those who have lost a parent or spouse. Social Security was not planned to be the only assistance for anybody, but just to complement personal savings and pensions. Nevertheless for two –thirds of retirees, Social Security is the main source of income. For one-third of retirees, Social Security offers more than 90% of their income. 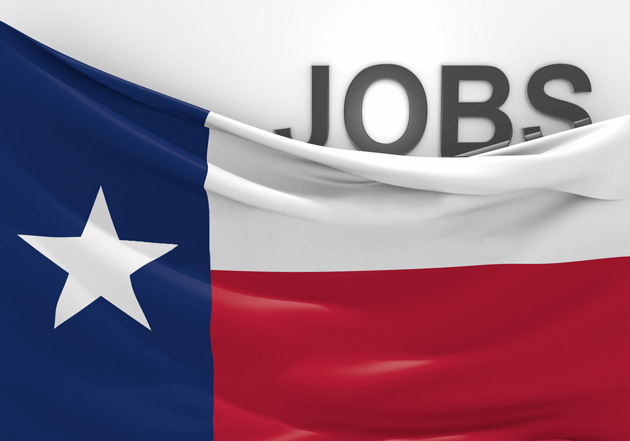 States put their own criteria for unemployment benefits eligibility. Nearly all discriminate between retirement income, for example pensions, and Social Security Benefits. Regarding pensions, many states lessen unemployment benefits by a dollar for every dollar the employer has contributed to the pension. As of 2011, 43 of 50 states never decreased unemployment benefits to Social Security receivers. Louisiana, Illinois, Utah, and Minnesota reduce UB by 50% for applicants who obtain Security payments. Minnesota gives up the 50% reduction if the applicant earned wage credits for Unemployment benefits eligibility while already entitled for Social Security payments. Virginia and South Dakota impose a 50% reduction for Social Security recipients, based on the amount of money in the state unemployment fund. South Dakota, for instance stops imposing reduction if the unemployment trust fund balance at the end of a calendar quarter is $30 million or more. Recipients of Unemployment Benefits are eligible as long as they are able to work full time, enthusiastically seeking a permanent job and available to accept any appropriate job offer. Claimants who are old enough to obtain Social Security payments must ensure they energetically pursue full-time employment. Their state might rule them not eligible if they are willing to work only certain hours or days, have no way of getting to work or have duties or other situations that restrict their time, They must be ready to offer proof of a job search, such as contacts they made, upon request by their state unemployment agency. 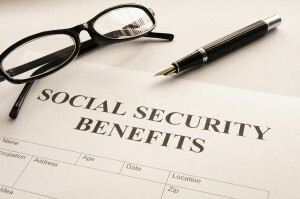 Social Security payments are at times treated different from retirement payments in general. The following table indicates the shows the extent, if any, by which the weekly benefit amount is reduced due to the receipt of Social Security payments. FUTA wants states to lessen the weekly benefit amount of any person by the amount, assigned weekly, of any governmental or other individual, retirement or retired pay, annuity or any other alike periodic payment which depends on the previous work of such individual. This requirement applies solely to payments made under a plan contributed or maintained to by a chargeable employer or base period which influenced eligibility for or increased the sum of the retirement pay. States are allowed to lessen benefits on less than a dollar – for – dollar basis by considering the contributions made by the worker to the plan which means the FUTA requirement is restricted to 100% employer – financed pensions.) Also, the necessity applies only to those payments on a periodic basis. Consequently, the states may select from a range of options, creating a retirement pay provision. In the year, 2008, FUTA was adjusted to forbid reductions for pensions, retirement or retired pay, annuity, or other comparable payment which is not included in the gross income of the person as it was a part of a rollover distribution. A supplemental unemployment payment plan is a system in which under a contract payments are made from an employer. The reason is to provide the worker, while unemployed, with a combined UI and supplemental unemployment benefit payment amounting to a definite proportion of his weekly earnings while employed. That under which the worker has a vested interest and many gather of he is laid off for other reasons such as permanent separation or illness. All states apart from Puerto Rico, Mexico, South Carolina and South Dakota allow supplementation by Ford – General Motors type plans without have an effect on UI payments. Some supplemental unemployment benefit plans of the Ford- General Motors type provide for optional payments or alternative private payments in a state in which a ruling not allowing supplementation is issued. These payments may be made in sum equal to three or four times the regular weekly private benefit after two or three weekly payments of State Unemployment insurance benefits; in lump sums when the suspension ends or the state benefits are worn out (whichever is earlier); or through alternative payment arrangements to be worked out, based on the particular supplemental unemployment benefit plan. 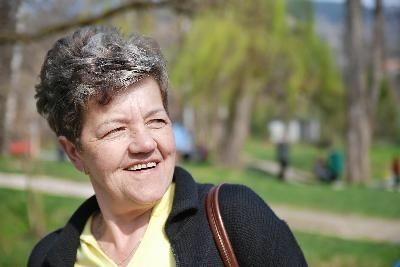 The consequence of Social Security payments on unemployment benefits is unlike from the consequence of Social Disability Insurance or Supplemental Security Income. In majority of the states, any form of disability payments might ban a claimant for failing to qualify for taking up a full-time job. Some states allow claimants with disabilities to obtain Unemployment Benefits only if they do not turn down jobs that can have room for their disabilities. These states are Delaware, Idaho, Alaska, Hawaii, Nevada, North Dakota, Maryland, Vermont, Tennessee and Massachusetts.